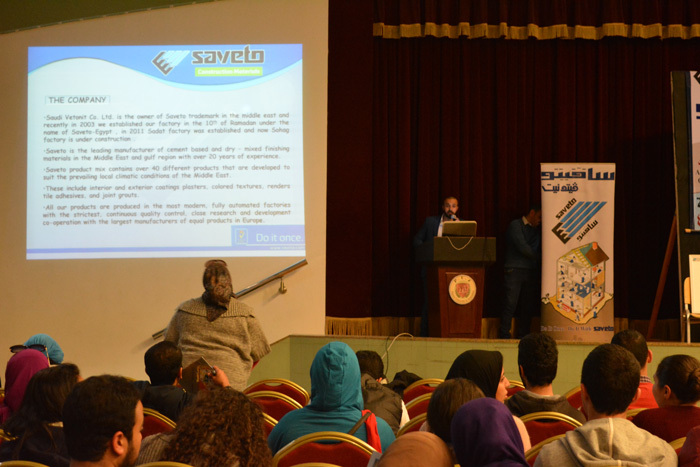 Under the supervision of the Architectural Engineering Department, delegates from SAVETO Company visited PUA to deliver a lecture on building materials on Monday 13/3/2017 at 2.30 p.m. 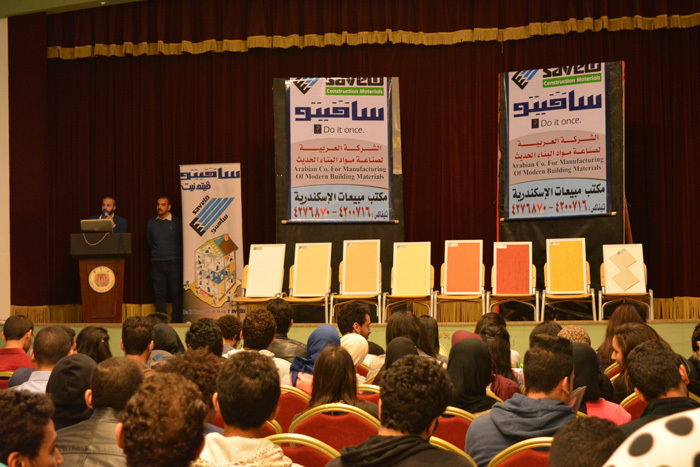 Engineers Ayman Abdel- Shakour and Hossam Ismail started the lecture with an orientation to SAVETO Company and its products. Then, they gave the students some explanations about the finishes and the exterior paints while providing them with some samples. 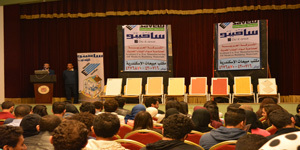 Discussions were opened by the end of the lecture for the students’ enquiries.